If you have ever been arrested for a crime in Florida, you have a Florida criminal record even if the charges were dropped. Your Florida criminal record will follow you to any state that you move to, but you have options. You can get your Florida criminal record sealed or your Florida criminal record expunged. The Florida case did not result in a Florida criminal conviction. Either the Florida conviction was withheld (withhold adjudication) or the Florida criminal defendant was acquitted after a trial (found not guilty). You have never been been convicted of a criminal offense (felony, misdemeanor, and certain driving offenses) or adjudicated delinquent for a criminal offense listed in Florida Statute Section 943.051. You have never had your criminal record expunged or seal before (in Florida or any other state). There are certain Florida charges that may not be sealed. 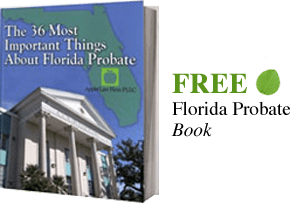 For a list of Florida's disqualifying charges, see Florida Statute Section 907.041. You must go through Florida's Criminal Record Sealing Process. If you have your Florida Criminal record sealed, you may be able to expunge your Florida Criminal record later. To expunge a withheld conviction or acquittal in Florida, you must have your Florida criminal record sealed for 10 years prior to expunging your Florida criminal background. If you are interested in sealing your Florida criminal background, contact a Jacksonville Florida Record Sealing Attorney. A Jacksonville Florida Record Sealing Lawyer understands how important it is to keep your criminal record private. Contact our Jacksonville Florida Criminal Defense Lawyers by email or by calling 904-685-1200.